I WROTE A BOOK! 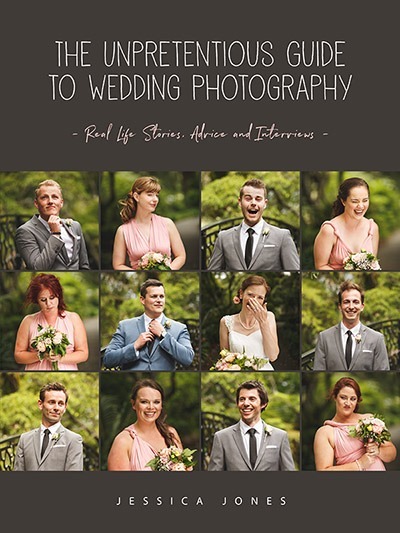 The Unpretentious Guide To Wedding Photography – real life stories, advice and interviews. “You should write a book”, they said. 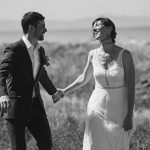 Sitting with friends and explaining what it’s REALLY like to be a wedding photographer, the joys and challenges, the funny, and the downright awful. 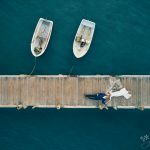 Ah, to be a wedding photographer, it’s a bit of a dream for those who love photography, but it’s quite a big step to take, and how do you know when you’re ready? You don’t know what you don’t know, right? 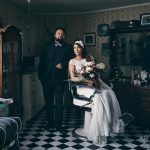 Photographing a wedding takes more than just a knowledge of your camera, and how to take a good photo. 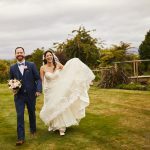 You’re going to need to know how to dig deeper to find out what really matters to the couple and their family, you need to know what to take to a wedding and how to navigate a tricky timeline. You’ll need to manage expectations, keep the mother-of-the-bride happy, and know what to do when things go wrong (because, spoiler alert, things do go wrong). There’s so much to know, and while I’m aware I don’t know everything yet, I’ve certainly picked up a thing or two in the past 10 years. So I’ve written it down, it’s been over a year in the making, to be honest I didn’t think it was going to be QUITE this big a project, but I’m SUPER excited with the outcome. 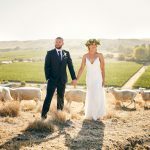 Why is it called The Unpretentious Guide To Wedding Photography? Well, I guess it’s because it’s not snobby. It’s written to the everyday person, and what I write about is probably stuff that other books won’t touch. It’s not about how to get that award winning, starburst, reflection, rainy or starry image (even though they are cool and all). It tackles things like what to do when you’re sick or nervous, or you just can’t get your image looking right at all and you feel like you’re dying on the inside while pretending that everything is groovy. Yes, I want you to pose your couples beautifully, but that’s not what this book is about, more importantly, I want you to get to know your clients as friends, learn what is beautiful about them and make your images reflect that. That’s every bit as valuable as that clever lighting technique. So what do you actually talk about in this book? But wait, there’s more! (I’ve always wanted to say that) Like, actually, there are even more subjects than that, as well as a whole lot of beautiful images scattered throughout. How can I get me one of these books? I’m opening pre-sales soon, I’ve got a form for you to fill out to join the Unpretentious Guide family so I can keep you in the loop. That actually depends on how fast the pre-sales go. I need to get a certain amount of books presold before I can give the printer the go ahead. Feel free to tell your friends and get the word out! It’s big; 220 pages. It’s also pretty, because it was designed by the very talented Leanne from Vanilla Hayes. At this stage it’s looking like it will be NZ$55 for the printed book, but we’ll have a solid price once pre-sales open. Is there going to be a digital version? Of course. Again, join the family and we’ll keep you updated when we’ve got it ready to go. Quick, tell me, where do I sign up?